When you are coaching youth basketball it can be a challenge to get the kids into formation and moving like a team. While it might not be difficult to teach an individual kid how to dribble and shoot a ball, teaching a whole team to do this and operate in sync is something different. The best way to bring this all together to have a functioning and effective team is through the use of drills. 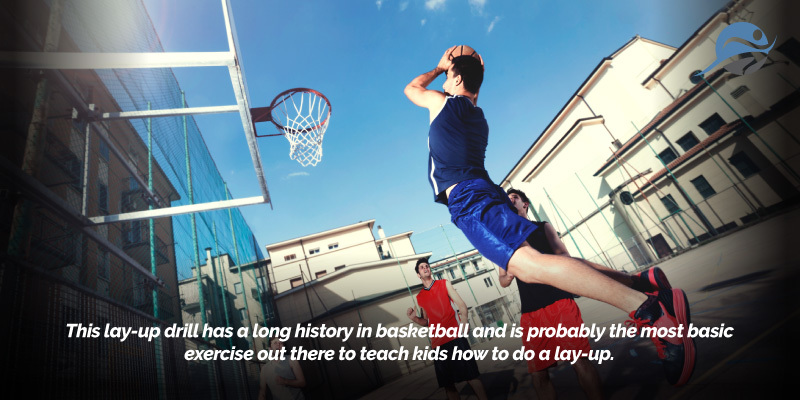 Basketball drills are similar to those found in other sports. Drills are defined as “repetitive training activities which do or do not use equipment. They are intended to stimulate a part of a complex movement (e.g., an upper arm movement) or an elemental segment of a movement chain...Each drill that is practiced should be considered to be a discrete activity. The greater the similarity between a total competitive skill and a restricted practiced drill, the greater is the likelihood of negative transfer between the two. The learned drill will compete with and disrupt the competitive skill… Drills originally were only meant to be preliminary activities to be used as a step in a progression on the way through to learning a ‘terminal behavior.’ But now they have become training items which means that athletes' progress is halted at a less than terminal stage of skill development and competing patterns of movement are established.” (Source). The drill should have a specific purpose. The drill should address the purpose [and] stimulate the exact same situation as it does in the game. The drill should be efficient, keeping in mind that the fewest repetitions of the specific action you are seeking to improve defines the maximum efficiency. The level of difficulty should match the players ability, such that the drill should produce a 50-60% average success rate. (We know that some players will have higher and lower response rates). “Perform drills that force your players to think” – Bob Knight, famous college basketball coach. You divide the kids into two separate lines on each side of a half-court, a shooting line and a rebounding line. You start with the first player dribbling to the basket and doing a layup, the first rebounder, on the opposite line, rebounds and passes to the next shooter on the opposite line. Shooters and rebounders switch lines after their move. This way every player gets a chance to shoot and rebound. You can have the kids switch sides after a bit so that they are now having to do left-handed layups. USA Basketball defines this drill as Warm-Up Speed. It is the most basic of their three different speed drills that help youth develop a shot. Set 1 - defending the pass, jump to the ball, and be in help or passing lane. Set 2 - defending the drive, help and recover to your man, stay low and sprint. Set 3 - defending the ball screen; let teammate know what side screen has been set, hedge out, open up, and sprint back to your man. Set 4 - defending the screen away; going under the screen against a non-shooter, stay low and get over top of the screen against a good shooter. Avoid switching as much as possible so your team can maintain effective matchups. In case of a "necessary" switch, make sure to switch back when play is on the perimeter or next defensive set.